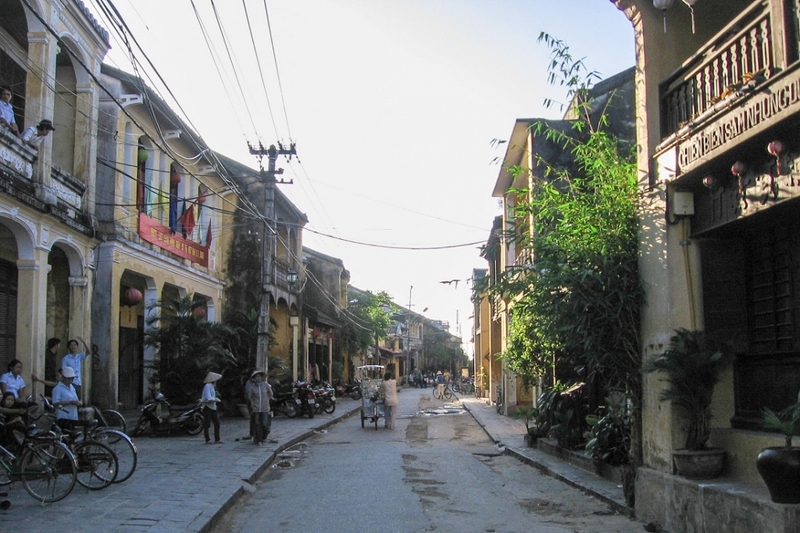 The little town of Hoi An used to be a bustling center of trade in Central Vietnam. That all changed when the river silted up in the 18th century, preventing big ships from docking there. 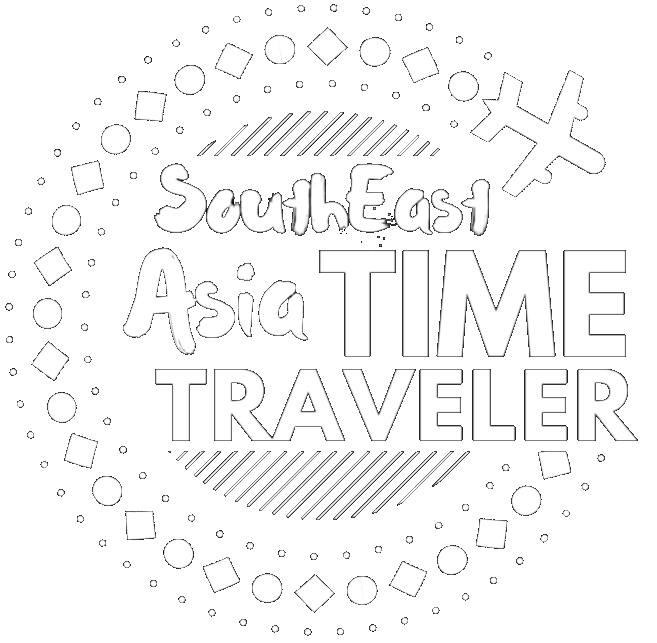 The Emperor Gia Long cut deals with the French, who claimed nearby Danang as a trading port, leading to Hoi An’s long slide into irrelevance – which ironically saved Hoi An from the worst excesses of the last two wars. Business has picked up since Vietnam discovered fatter pickings from the tourism trade; visitors are willing to pony over mucho dinero for Hoi An’s quaint charms. 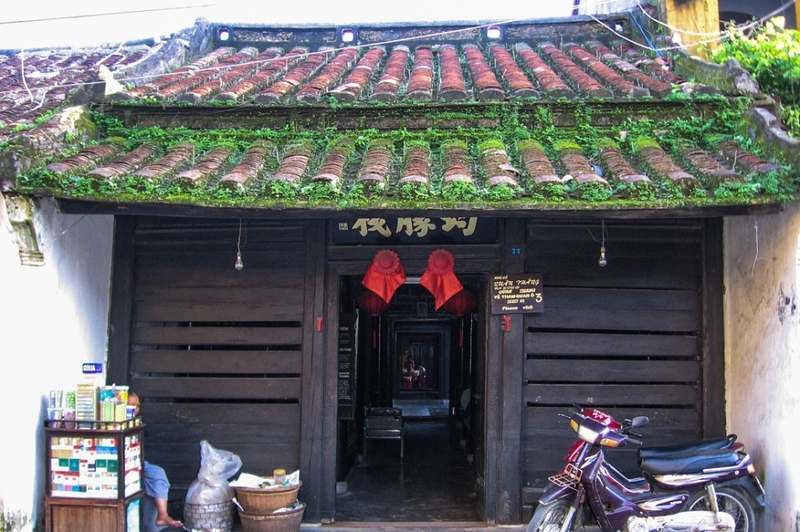 The Ancient Town is a smaller enclave in the general Hoi An metropolis – lodgings are outside the old town, centered along Hai Ba Trung and Ba Trieu streets, not too far from the old town’s borders. The town’s buildings have largely survived from the good old days, although understandably the stock business of the area is radically different from the days when Japanese and Chinese businessmen traded in this area in the 15th century. The buildings have been converted into shops or restaurants; the particularly culturally significant ones are now museums that charge for entrance. The Japanese Bridge provides a great starting point for a walk through the Ancient Town. 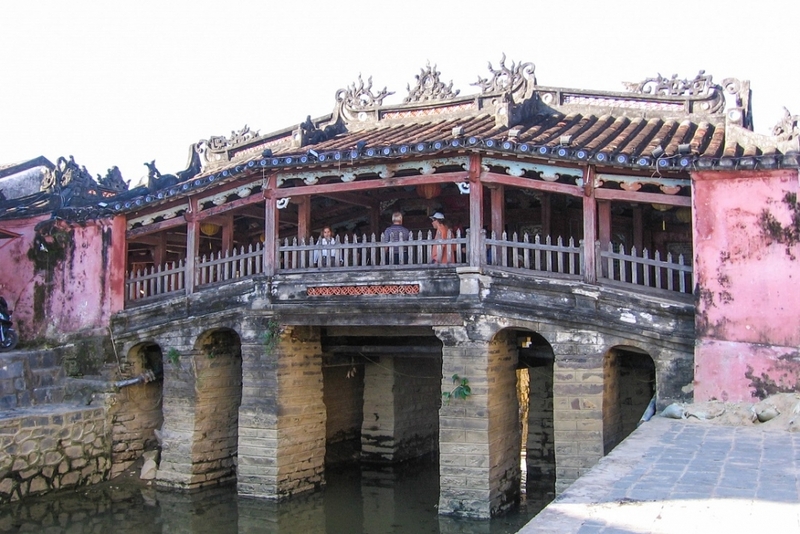 The Japanese Bridge used to link Hoi An’s Japanese enclave with the rest of the town; forty years after its construction, Hoi An’s Japanese expats were forced to return by the Tokugawa shogun. 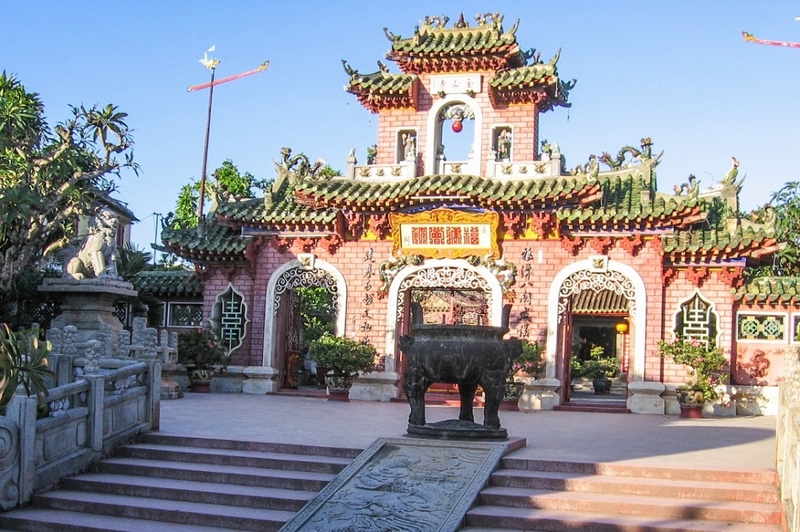 The bridge they left behind eventually became an icon of Hoi An. The street it links to, Tran Phu, is the main thoroughfare with a delightful mix of shops hawking a wide variety of goods. Plenty of tailors sell their services here, at a fraction of a cost of what you’d pay back home. I’d have one made, but writers don’t generally go around in suits except during their own funerals. One street down from Tran Phu, Nguyen Thai Hoc, is where you’ll find the Tan Ky House, an outstanding example of an old merchant house; unusually, the Tan family still lives there, although the business has seen better days. Now their descendants show gawking tourists around their house, letting them admire items left over from the town’s glory days. Among other things, the pillars bear Chinese script crafted from mother-of-pearl, which is amazing by itself until our guide informs us that each “brush stroke” is actually a depiction of a bird. Doubly amazing. Hoi An is susceptible to flooding, as the river often overflows its banks. Typhoon Ketsana was the last really bad storm they experienced here, but the residents of Tan Ky House take it all in stride; they simply carry their goods up to the second level of the house when the floods hit. Near the back of the house, marks on the wall indicate the flood levels at particular dates. Ketsana’s mark is some six to seven feet high on the wall. Back on Tran Phu, a wonderful example of a Chinese Assembly House stands proud – the Fujian Assembly Hall (Phuc Kien), on 46 Tran Phu Street. 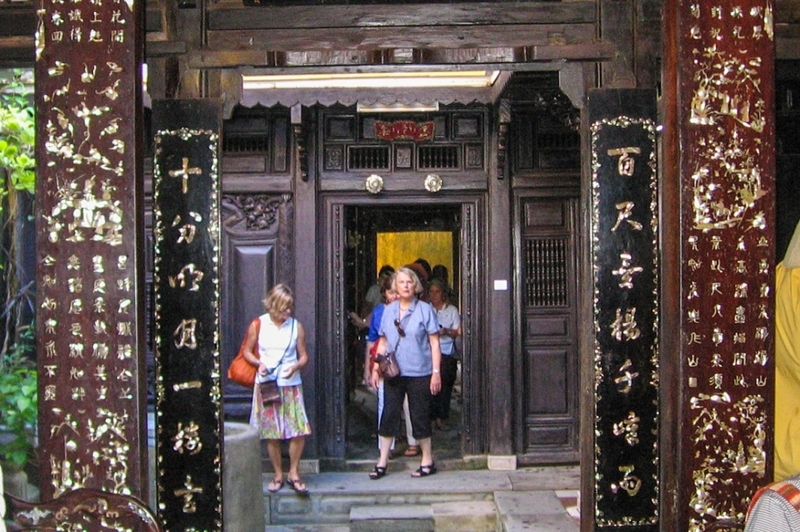 A paved courtyard precedes a building ornamented with dragons and phoenixes; inside, a friendly dog stands guard as you admire the meeting spaces, the swirly joss sticks smoking overhead, and the statuary to honor Chinese deities.